What’s the Relevance of Handwriting Today? Kathy LaPorte is teacher and calligrapher in Indianapolis. 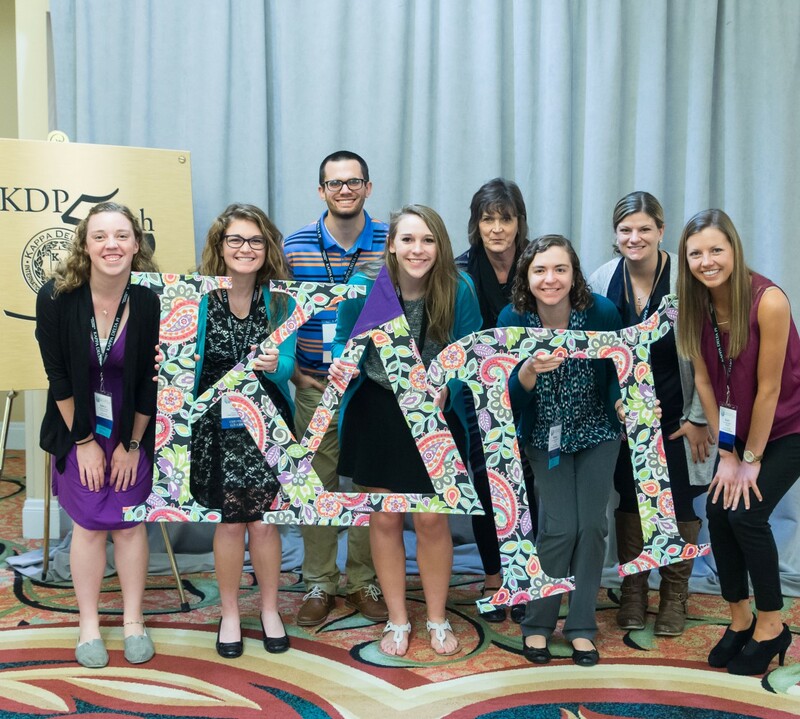 She is the official Kappa Delta Pi calligrapher. In honor of National Handwriting Day (celebrated Jan. 23, the birthday of John Hancock), she offered her thoughts on the art form. LaPorte is the official calligrapher for KDP and works on charters, like this one for Alpha Zeta Delta chapter. As I sit here with a pencil in one hand and a cup of coffee in the other, I am trying to convince myself of the necessity of using handwriting as a form of communication. And, while I am passionate and enthusiastic about the fading art of handwriting, I know that the digital age has taken over its usefulness. Is this a good thing, a bad thing, or a wait-and-see thing? For 33 years, I taught both manuscript printing and cursive writing to elementary school children. For some, this was enjoyable. For others, not so much. However, for everyone, handwritten communication was a necessity. Even though efficiency has taken over our fast paced lives, I think there is a legacy that handwriting can offer. The warmth and personality that comes from seeing the product of someone’s hand is invaluable. It is the extension of a real person, unique and fascinating. It reflects thoughts that, once on paper, cannot be easily deleted. It causes the writer to reflect, to daydream and to let ideas gel. These are important qualities for creativity. Handwriting is an art and a valuable part of our history. It is a relic for future generations to enjoy. Treat yourself to a good pen, some high quality paper and write about your most cherished moments. You will be making a timeless contribution both to yourself and to others. As an art teacher who is also a calligrapher and taught calligraphy I could not agree more. Research has shown that there is a connection between what one sees or hears, processes in the brain, and then the result is transferred through the arm to the hand and the pen on the paper. Today our children learn to print when necessary which is the least efficient way of getting your thoughts on paper. There was a good reason why the papal briefs were written in a cursive calligraphy style with the letters attached to each other to make the reading and writing process quicker. I support the teaching of cursive writing elementary level.